27 Years of Call Center QA — CSR Inc.
It’s hard to believe that CSR has been in business for 27 years this August. Wow. Happy birthday to CSR Inc.! In typical ‘good old days’ fashion, let me just start by saying that when CSR launched in 1990, the phrase ‘#cctr’ didn’t exist…or if it did, it was most certainly a typo. I had just gotten married, and cell phones were just starting to make inroads. So there were a number of things we take for granted today (including hashtags!) that didn’t even exist. One thing we did have was Telecom companies…lots of them. The 1990s will probably be remembered as the halcyon days of telecom, when the industry reached peak employment and the Baby Bells gave birth to a host of grandbaby Bells, which then spun off nieces and nephews and other extended family members. Just over two-and-a-half decades later, massive consolidation has led to a significantly smaller telecommunications industry index, and technology advances continue to displace workers. The call center quality assurance industry has changed tremendously as well in that time. 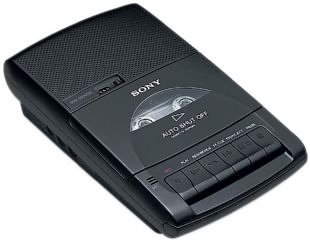 I remember using cassette tapes to record calls. And was that painful! CSR hired a dedicated staff to just edit tapes for customers and ensure all client calls were on a master tape. And then we mailed them to the client…yes, with postage, in an envelope. And this was just 20-odd years ago, folks! Technology has completely changed how we deliver quality assurance for the better in many ways. Long before it became a normal way of doing business, CSR’s staff was virtual, working at home. As cool as it was to be ahead of the curve, however, the callers and evaluators still had to get in their cars and come into the office to drop off the work. Among key performance metrics at the time, we typically measured what the agent said (a check list) versus how they performed, and evaluated the customer’s reaction. Things, of course, are much different today. We operate at near-real-time, and evaluations & reports are actionable and posted in near time. Performance standards now better mirror the training programs. And more focused accountability is being placed on QA to deliver results. It can be fun to look back and marvel at how far we’ve come. I want to thank all of our customers – I’m grateful to you for making CSR a success and I’m delighted to work with you all! The other takeaway? Wow, our industry has changed! The sophistication of our technology and techniques is light years beyond where we were just two decades ago. And while both of those things have increased exponentially the complexity of our tasks, they have also opened up possibilities for the quality assurance & customer service industries that were completely unimaginable 25 or 30 years ago. Older PostHow Important is Training for Call Center Supervisors & Managers?